Save the date- Dec 2nd! 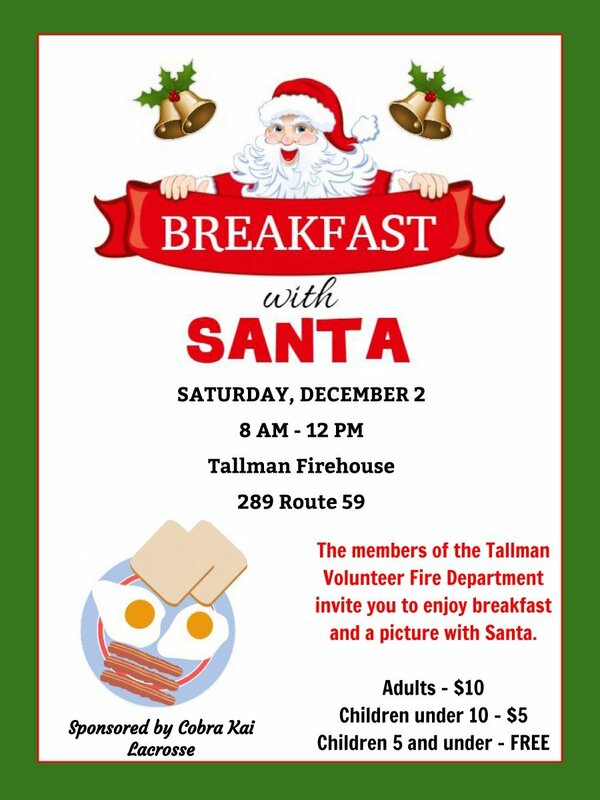 Santa is coming to the Tallman Fire Department and is looking forward to see all your children and grandkids for breakfast and pictures with Santa. The Tallman firefighters will be cooking breakfast for all and we look forward to seeing everyone from our community come out and have a great morning together. Your firehouse and your firefighters welcome all to meet Santa.